People are becoming more and more mobile worldwide. A trend that not only presents considerable challenges for transportation planners, but also makes a significant contribution to climate change. How do we shape the sustainable and user-friendly mobility of the future? Annika Kunze, product manager in e-mobility and energy solutions for supermarkets at SMA subsidiary coneva, presents her insights and forecasts. The transportation sector is a significant contributor to climate change. How can we transform the sector to become more sustainable? 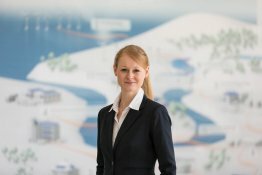 Annika Kunze is product manager in e-mobility and energy solutions for supermarkets at coneva. The transportation sector is responsible for almost 20 percent of all CO2 emissions. Accordingly, there is great need for action. To counteract the environmental burdens caused by the constantly increasing mobility long term, we must place a much greater focus on decarbonization. We must create sustainable and integrated mobility solutions for various types of passenger and freight transportation, as on-street and rail transportation, air travel and shipping. The transformation in transportation can be achieved if energy efficient mobility concepts combined with sustainable energy solutions based on renewable energies can be offered to everyone in a way that is networked across sectors, tailored to demand and economically feasible. To make this possible, all parties involved from the areas of economics and politics—on all levels—as well as society as a whole should act together and take responsibility. To ensure that there is no backward roll, the necessary regulatory conditions must be created in the interest of end users and solution providers. What role does e-mobility play as part of integrated energy? Expanding the charging infrastructure for electric vehicles leads to an increased burden for the electricity grids. Additionally, electricity is increasingly generated from regenerative energy sources. This presents some challenges. Such challenges include fluctuating generation from sun and wind or peak loads during consumption in the distribution grid, for instance, when many electric cars are charged at the same time in the evening. Here, it is important to link demand and supply sustainably and cost-effectively. Linking a PV system to generate green power with a car battery as a buffer can contribute to easing the burden on the grid. Through intelligent control of the charging processes and making them more flexible, available electricity can also be used optimally, costs can be saved and the burden on the electricity grid can be eased further. Networking with other energy sectors, such as heating and cooling, can also directly or indirectly play a role in the supply for electric cars. This also affects the pricing of electricity. Important questions include: Should ensuring mobility be the priority, or is it more important to use electricity from renewable energies? At coneva, we are currently working on solutions to enable this intelligent networking. Based on the IoT energy management platform ennexOS from SMA, we are developing services for controlling load management to optimize consumption via decentralized, sustainable energy generation systems and make this energy usable for e-mobility as well. 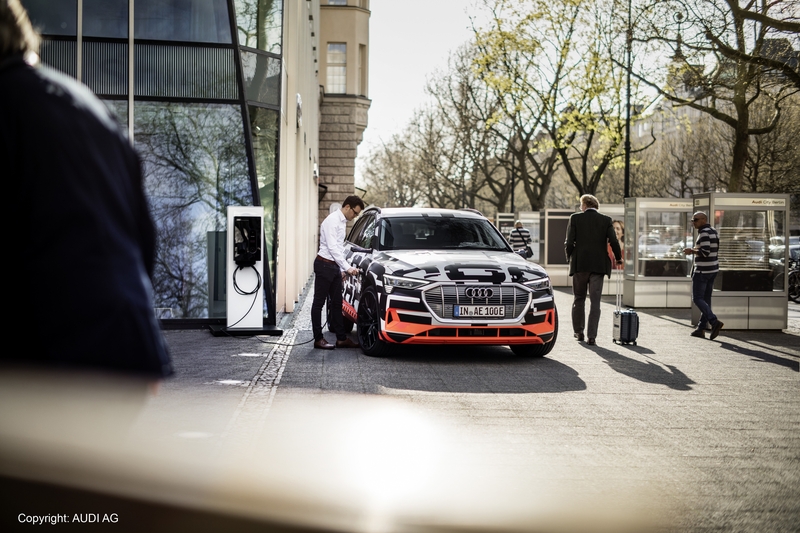 Partnership for sustainable mobility: Audi and SMA ensure that e-tron drivers can cost-effectively charge their electric car at home – ideally, with power generated by their own solar system. Based on EEBUS standards, SMA and Audi are currently working on intelligently networking vehicles with home energy management systems to enable cost-optimized charging with sustainable photovoltaic electricity and by using variable electricity tariffs. With this, the battery can be supplied with electricity at times when the price is particularly low. How can every single person contribute to sustainable mobility today? Studies show that private transportation, for example commuting to work every day, makes up the majority of traffic volume. This is something we need to rethink. Each of us should leave the car at home more often and use more sustainable mobility options such as car sharing and public transportation, which is also increasingly being electrified. Many cities are already leading the way. Of course, outside cities there often is still a lack of suitable offers. Intelligent energy management: Use electricity from your own solar system and charge you e-car for free. In principle, everyone should find the best solution based on sustainability for their individual needs, for example, e-mobility, if applicable, also in combination with a decentralized energy system, such as photovoltaics, for generating electricity. At coneva, we develop solutions that promote self-consumption while also integrating mobility for private and commercial customers. For example, in the future end users will be able to receive consultations from our partners, municipal utilities. We help supermarkets and other commercial enterprises in analyzing, implementing and operating intelligent, decentralized energy systems combined with the appropriate charging infrastructure. Where can projects be found that have already been successful? There have already been a number of successful projects and initiatives. The electrification of public transportation and other means of transportation has been initiated in large cities, such as Hamburg and Munich. In addition, in Munich alone plans are in place for 550 new electric vehicle charging stations to be set up by the end of next year as well as for a subsidy of up to €1,000 for those who purchase an e-bike. Companies are also rearranging their commercial fleets to include increasingly more electric cars and electric vans. Here, Deutsche Post has led the way. Another important area is district-wide solutions, for which energy systems linked with e-mobility are used in residential areas. For example, one such project was introduced in Cologne, Germany. For our part, at coneva we have started a pilot project in collaboration with Danfoss to link various energy sectors for a supermarket in Oldenburg. 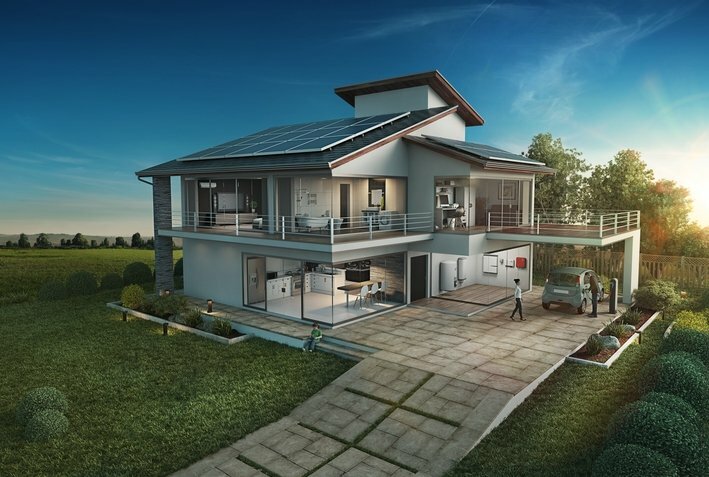 PV systems, battery storage systems, cooling systems and charging infrastructure are linked to each other via intelligent load management where the use of generated, sustainable electricity is optimized, expensive peak loads are prevented and energy costs are lowered. What are currently the most important technological trends? Fill up with sun: Recharging batteries by intelligent networking. In my opinion, connectivity, e-mobility and autonomous driving are essential areas. Everything that applies to the sustainable power supply of the future also applies to mobility: New technologies and artificial intelligence will network cities more and more closely and continue to optimize mobility behavior and logistics, such as better analyzing and controlling transportation flows. There are still some hurdles to overcome with autonomously driving cars, but the trend toward using electrical, autonomous shared taxis continues to progress. In the next few years, further development in e-mobility will focus on batteries—whether as stationary storage device, as mobile storage device or as electric drive. Vehicle-to-grid will also be of particular importance. Here, the car functions as a storage device and hands electricity over to the grid. Additionally, networked apps save time and costs when using mobility options. What will our mobility look like in 10 years? Mobility behavior will change sustainably in the years to come. Passenger transportation will no longer involve ownership of a car as a status symbol but will instead mean access to sustainable and need-based mobility services. Traffic will be digital, networked and electrified and will be based on car sharing offers. The first autonomously driving vehicles and minibuses will appear in cities. This will support development of individualized public transportation. The smartphone and networked apps will offer access to mobility and transparency of price models. Combined traffic, for example going to the station by bicycle and from there traveling with public transportation, will become more commonplace. Pedestrian and bicycle transportation will benefit from car-free streets and improved infrastructure, such as bicycle parking facilities. And then, of course, we will also see the first air taxis and transportation drones, such as those that are currently being tested in pilot projects in the Middle East. New mobility options from employers, such as a mobility budget instead of company cars, may also significantly contribute to changing rush-hour traffic in cities. And finally, electrified mobility options will then be able to obtain electricity from networked decentralized energy systems. If you have further questions on e-mobility and coneva, we are looking forward to your email. 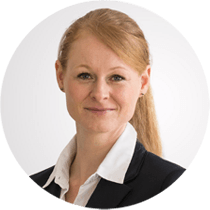 Annika Kunze is a product & marketing manager at coneva focusing on cross-industry solutions. Annika has gained her expertise in e-mobility and charging solutions at BMW Group, where she was involved in a global market launch, amongst other things. She has also worked as an in-house consultant for E.ON Corporation, and is experienced in digital business models.